Divi is one of the most popular WordPress themes in the world. This review is by an experienced web developer with lots of experience using Divi, updated for 2019. I hope you find this Divi theme review useful. Unlike most themes we focus on here, Divi is an all in one theme, meaning that you can basically create any kind of website or layout with it. The ability to create tons of different layouts comes from the Divi Builder, a powerful plugin developed by Elegant Themes. I’ve spent a lot of time using the Divi builder and even though I’m normally put off by page builders, I can honestly say that it’s one of the most impressive plugins I’ve used for WordPress. 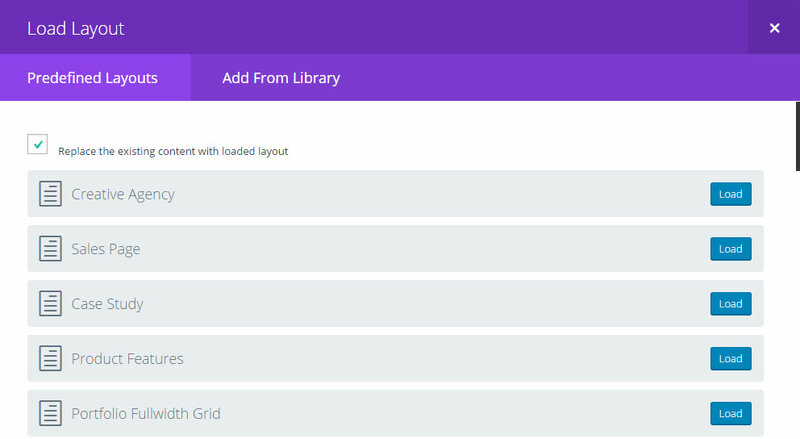 Creating your own layouts is a breeze as you can simply drag and drop items from the list of ‘modules’ the Divi builder provides and then tweak a bunch of settings that each module has. For example, you could drop in a testimonial element, choose the background color or image for that section, choose where the icon should go next to the testimonial, add content for each testimonial and tweak padding and margin. Divi’s layout builder is easy enough for non developers to use which means you can create all kinds of things without specialist knowledge and it also means that if you are a developer it could be a good option to provide to clients if they want to be able to create their own pages with a wide range of different layouts. As well as the modules you see above that can be added into a wide range of different layouts, you can also create full width sections rom the Divi Builder. Full width sections allow you to create modern layouts by adding things like sections with a large background image, a background video, a full width map, a slider and more. Combining the full width sections with the modules allows you to create good looking sites in all kinds of different styles. 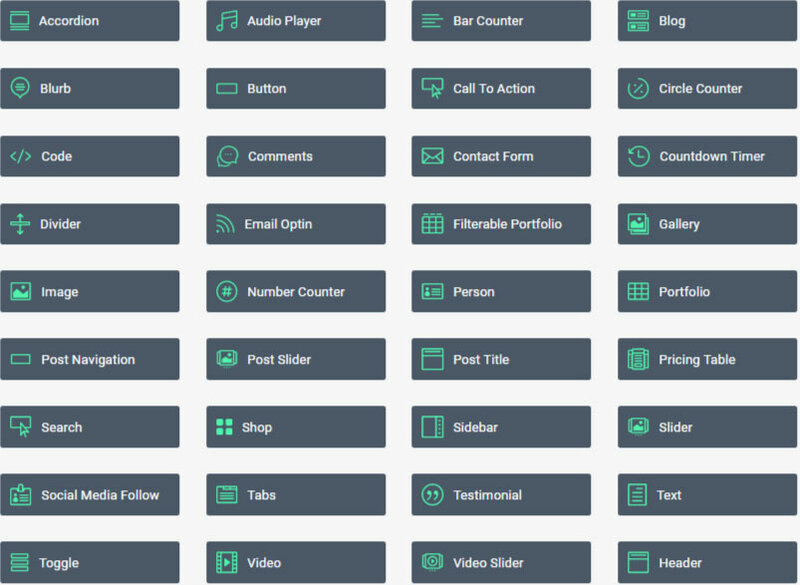 Divi’s drag and drop page builder – Divi Builder is often compared to other well-known page builders like Elementor and Visual Composer. I’ve used all of these page builders quite a bit over the past year. I’ve used Divi Builder on my own websites and I’ve been forced to use Elementor and Visual Composer on client websites that I was working on. Honestly, Divi is far easier to use than both Elementor and Visual Composer. I found both Elementor and Visual Composer to be clunky, slow and very annoying. Divi was much easier to work with and seems much more intuitive. Divi did slow down the admin area noticeably sometimes through – another drawback of such a colossal plugin being used. Although Elementor, Visual Composer and Divi Builder are all powerful plugins allowing you to create all kinds of layouts, Divi’s learning curse seems much lower to me and the quality of the plugin is higher. If you are trying to choose between these page builders, Divi Builder would be my choice every time. WordPress 5 was released at the end of 2018 and it brought some huge (and controversial) changes with it. WordPress 5 included an entirely new page editor experience leaving many plugin developers racing to make their plugins compatible in time for WordPress 5. Divi is compatible with WordPress 5 from Divi version 3.18 onwards so you’ll want to make sure your version of Divi is at least version 3.18 before you update to WordPress 5. My favourite feature of Divi is the prebuilt layouts option. There are loads of pre-built layouts to choose from in a wide range of categories and they can all be imported in the click of a button. The design quality of all these pre-built layouts is top-notch and just as good as any of the well-known WordPress themes you’ll find on Themeforest. Once your layout is in place you simply add your text, images and video then tweak any options you want and your page is ready. 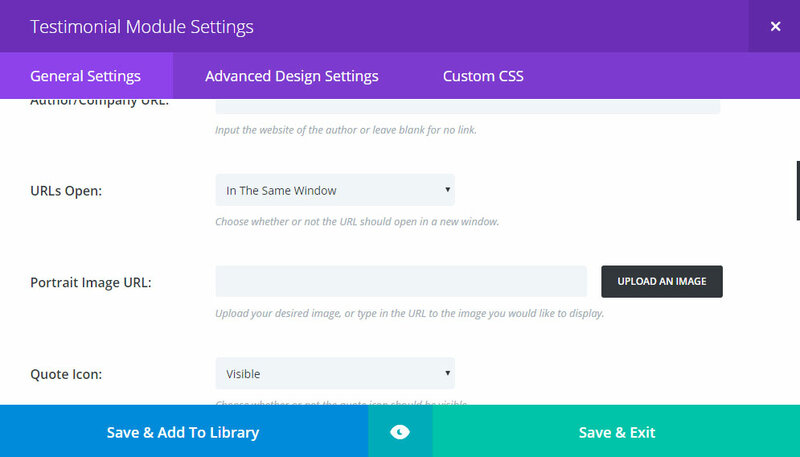 Divi also lets you save your own layouts and sections which you can import into other pages and posts. You could also export your layouts into other Divi powered websites. Divi works really well for nearly any kind of website and Elegant Themes provide demos for cafe’s, shops, portfolios, agencies and more to show you what’s possible. Is Divi Easy for Beginners? As I said earlier, Divi is a great way to allow anyone to edit the content of a website but is it really a good idea to provide this functionality to beginners responsible for maintaining a website? It depends. Someone without much knowledge can put together various layouts and edit content easily but in order to create something truly impressive and effective, the user is going to need some skills. After all, being able to make a website is one thing but knowing WHY certain elements are added to certain places and why a design is put together a certain way takes skill and practice. 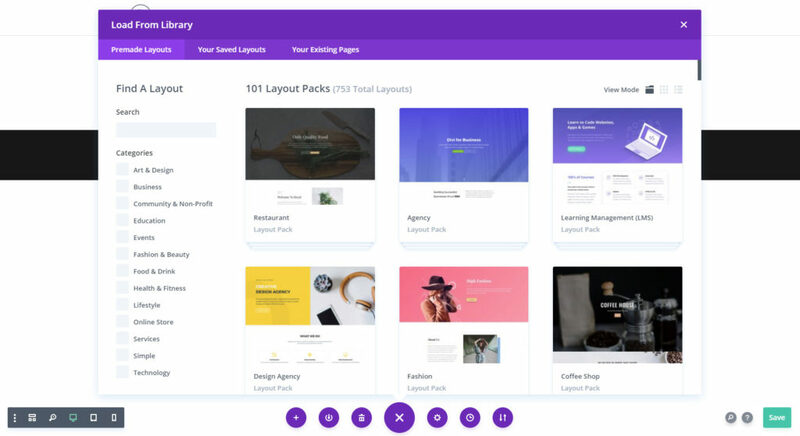 However, the pre-built layouts Divi offers are so good that if a user doesn’t need to alter those pages too much they could end up with a great website. Problems occur when beginners import a layout and then try to change too much, without any knowledge of design or coding. As Elegant Themes is one of the most established companies in the world of WordPress you can be sure of a great support team if you get stuck. Not only that, but as Divi is used by thousands of other users you can also get support from members of the Divi community. There are loads of helpful articles and videos about the Divi theme. Divi has one amazing feature that as far as know, no other theme provides. You can test versions of a design directly from Divi! If you’re unfamiliar with split testing then it basically means that you could compare a number of different elements, for example, the text used on a sign up button. You could set up two different buttons in Divi with different text or different colors and Divi would tell you which one resulted in the best conversion rate. Not only could this generate a ton of extra conversions for your business but it saves you needing to spend upwards of $30 per month on additional split testing tools. Although Divi is an awesome theme, it does have its downsides. Such a powerful tool comes with a lot of code and complicated stuff going on behind the scenes. This means that customization beyond what Divi offers can be difficult. If you ever want to tweak the CSS you may find it difficult searching through piles of code to find the bit you need to change and you’ll find that there is a LOT of extra stuff loaded with the theme that you may never even use. For these reasons, it’s really important to spend time optimising your Divi website. You’ll want to spend some time with optimisation plugins and set up caching on your website to be sure that it can perform to your (and your users) expectations. As I mentioned above, I also noticed Divi Builder slowing down the admin area quite often. This what not a major problem but it did make me worry a few times that the page was going to become unresponsive and I’d lose my edits, but that never happened. Divi is a really impressive piece of work by Elegant Themes and I’d certainly recommend it for anyone with some knowledge of setting up websites to put together up a modern looking website quickly, or for developers who are happy to learn how to tinker the theme to meet their requirements. We hope you’ve found this Divi theme review helpful. We are a part of Elegant Themes’ affiliate program. If you decide to try Divi after following one of the links on this page, we will get a small commission at no extra cost to you. Our participation in this program does not alter our opinion of this theme. Thanks for this. Its good to read an honest review. I bought Divi a few months ago and love it, but I agree with your points here. It can be difficult to make major changes to the theme.